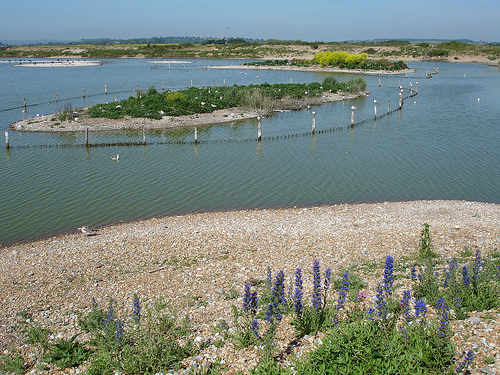 Rye Harbour is most famous for its bird life and in particular its breeding colonies of the little, common and Sandwich terns. In recent years the populations of these terns and other ground nesting birds (such as ringed plover, avocet, oystercatcher, redshank, lapwing, and wheatear) have increased in number and breeding success. The Beach Reserve is recognised as having one of the finest examples of coastal shingle vegetation in the country. Particularly in late May and June the beach is transformed by a colourful array of flowers, the striking sea kale, and viper’s bugloss, the delicate yellow horned-poppy, sea pea and sea campion to name only a few. Find out more at Sussex Wildlife Trust website who run regular programmes of walks and talks.